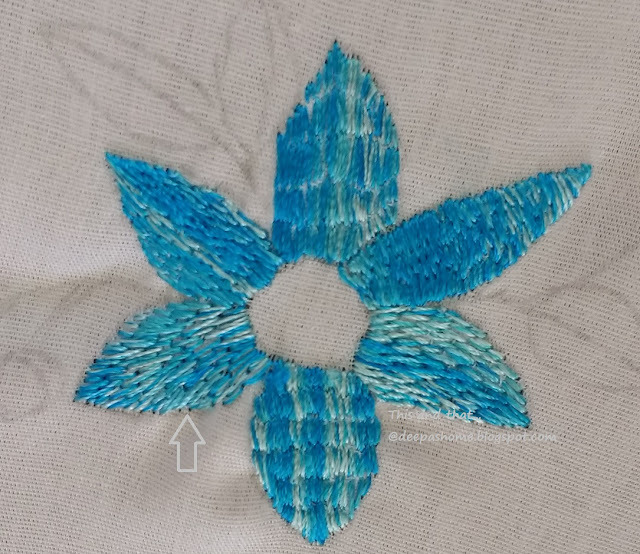 Today we look at the stitching technique used in Chamba rumal embroidery. Before that, a disclaimer - I am not an authority on Chamba rumals. If anyone knows better about this method please feel free to correct me. 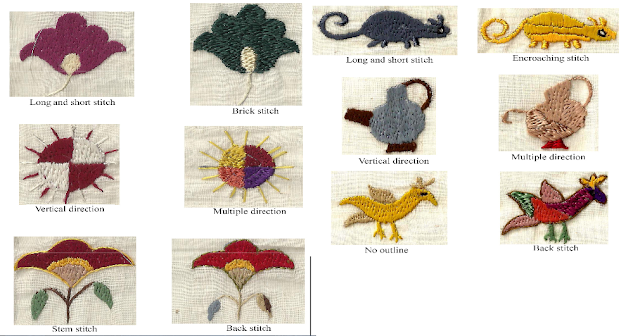 If we look closely at the stitches samples of Chamba, we'll come across different styles of filling -such as the long and short stitch , encroaching stitch and brick stitch. But technically, if you use these stitches, the back of the embroidery will not be an exact replica of the front which is essential in the case of Chamba rumals. 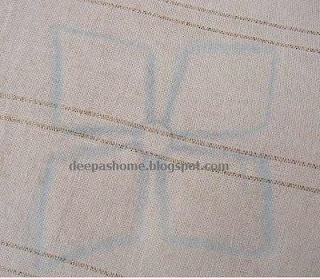 So, one needs to stitch in such a way that it looks like satin, long & short,encroaching or brick on both sides. 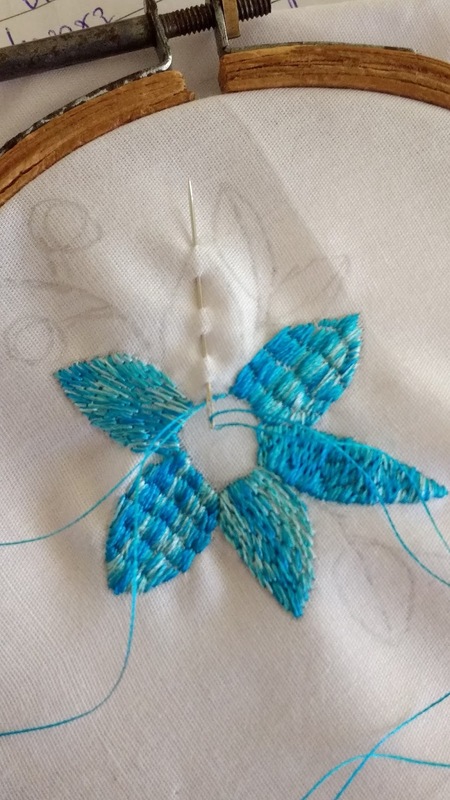 And the only stitch that can do it is the Darning stitch. 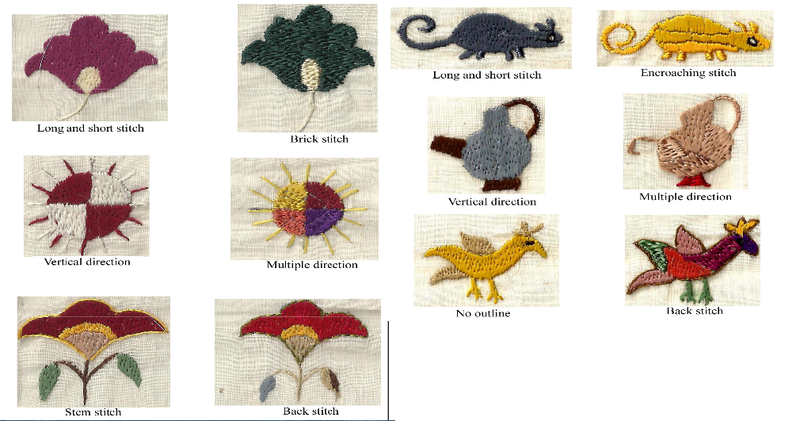 The above stitched samples represent the different ways the darning stitch can be used to fill patterns. The style of filling is the choice of the embroiderer. Vertical, horizontal or even random directions!! Now, let us look at my not so perfect sample. It took me a while to get used to the fact that I should be concerned about the design at the back too. Except for one petal which is just the normal long and short filling, all others are with darning stitch.Can you guess?? Here is the picture again and an arrow shows the normal long and short one !! :) Just across that awfully pointed horizontally filled petal.All other petals are filled in the Chamba rumal style. 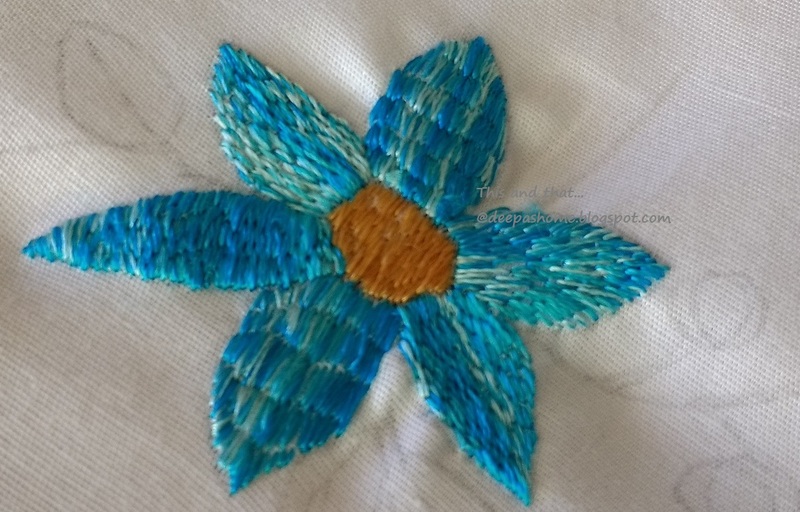 Start with a waste knot and a tiny back stitch and then use the running stitch. Return to the base along the same line filling the gaps with another series of running stitches.The first back stitch will be covered by the subsequent darning stitches. So, here is the completed trial flower. It's not an exquisitely embroidered piece - but will suffice for a sampler. So, that's it from my end. Note to YouTubers - I've discovered that some of you have copied my tutorials and patterns and reproduced them on your channels as your own. 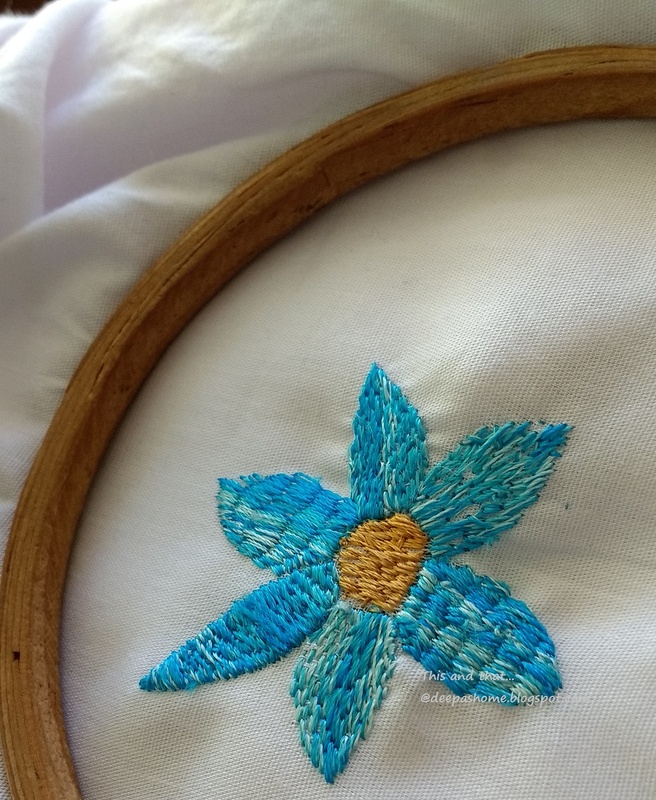 These are the results of hours of hard-work and research.I cannot stop you from remaking the stitch or technique tutorials, but please give credit where credit is due. Why do you consider regular one single petal? They seem all good to me. 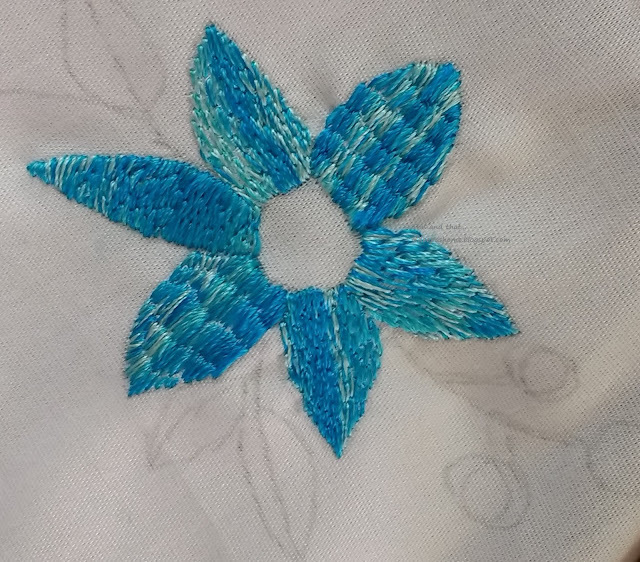 I've never made the Castelo Branco embroidery (just one little attempt) but I guess this is one of the stitches used. I've no time now for searching. Next week I leave to Lisbon to help my son and wife with the children. And the following week I'll have good friends as guests at home in Porto. No chance for searching. As soon I can I'll do it. It's an interesting technique, isn't it, with a host of possibilities to investigate! the ugly: people have no sense of decency for stealing your tutes. yes,if not properly credited it is sealing. 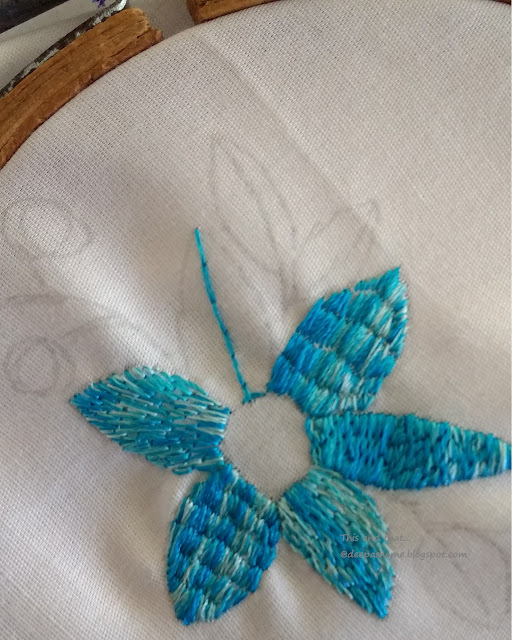 Running stitch - I never would have known! Makes sense when you think about it though. I think your sample is perfectly fine (and wish that I could do as well). As for the you-tube thieves - they have to live with themselves and I believe it will come back to haunt them someday. Deepa you are adorable. I had stumbled upon your blog and was surprised to find an Indian name as most craft blogs are by westerners. I had once attended a talk on chamba rumaals at India Habitat centre New Delhi. I also saw some exquisite pieces during my trip to Himachal. So nice to find someone with your level of passion.